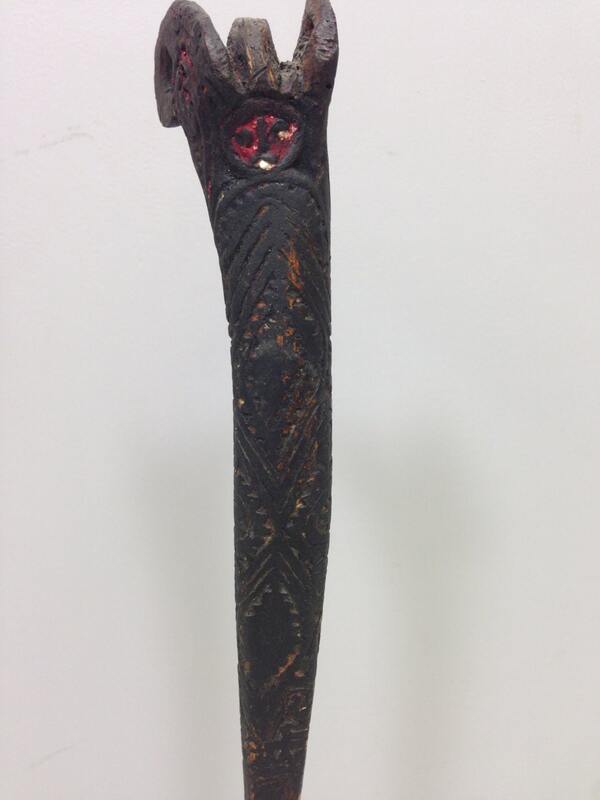 This a beautifully incised darkened Old Bone Dagger from the Abelam People of the Sepik Region of Papua New Guinea. 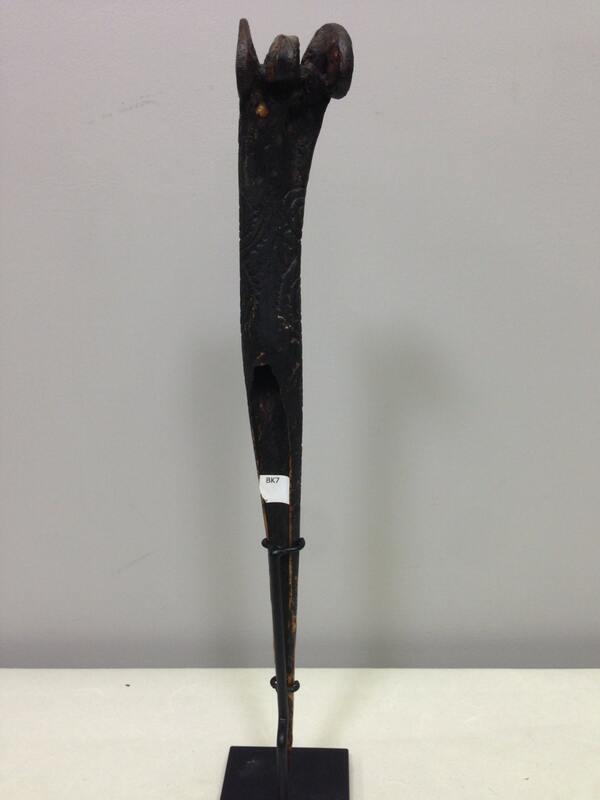 A bone dagger is made out of the femur bone of the Cassowary Bird which is ingenious to Papua New Guinea. 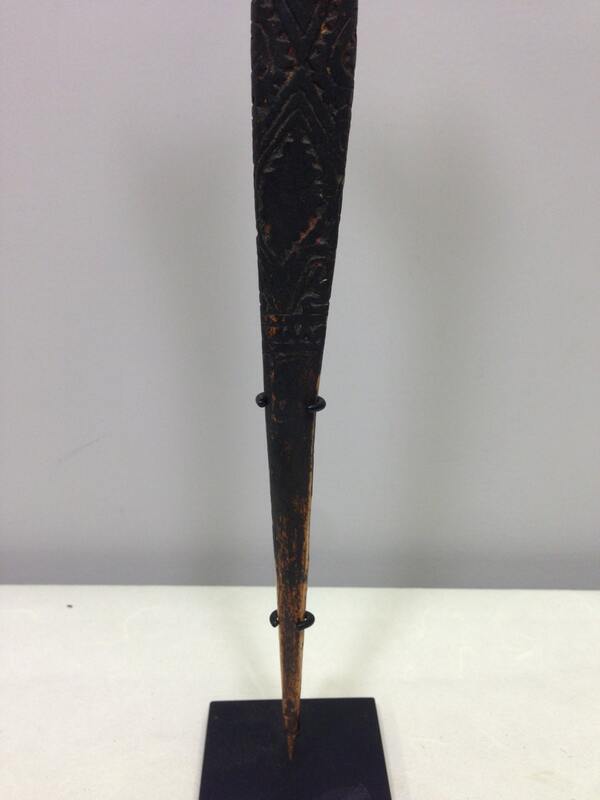 The front side of the dagger has a beautiful abstract motif carved in relief. Bone is recognized as a metaphor for strength, and with a narrow range of material to be used, bone has become very valuable. Bone with its strength has derived powers from the supernatural world and often in ritual and magic. 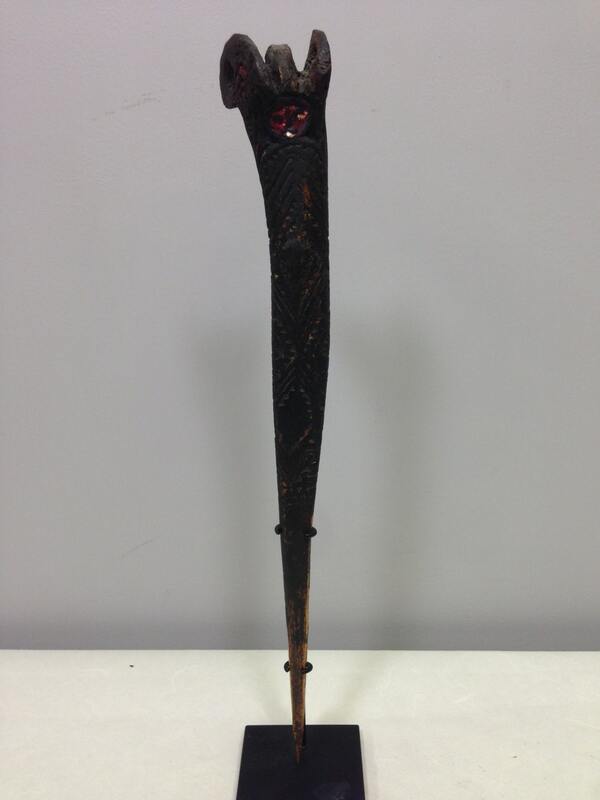 This dagger has a very burnished patina. This would be a lovely addition to your collection.